This intro features a looped video so the guide doesn't appear frozen. 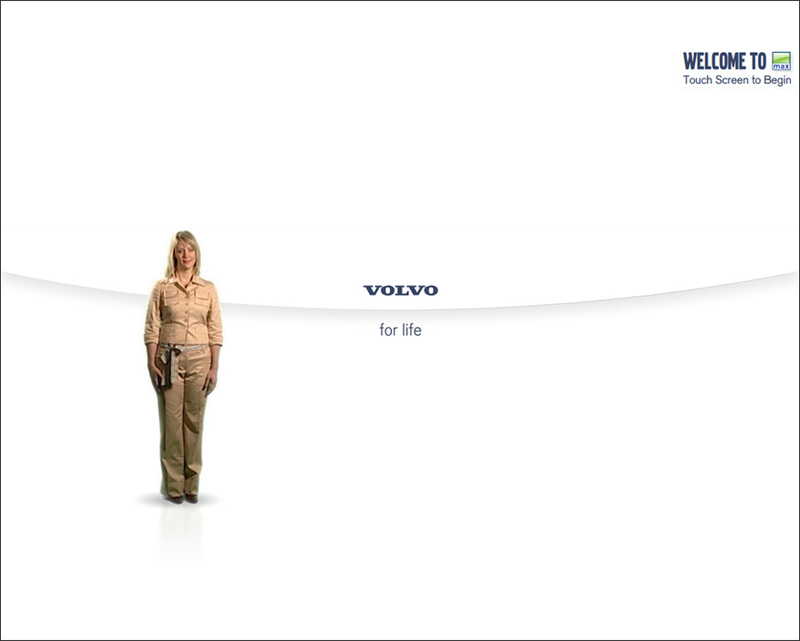 The user is encouraged to "touch the screen to begin." 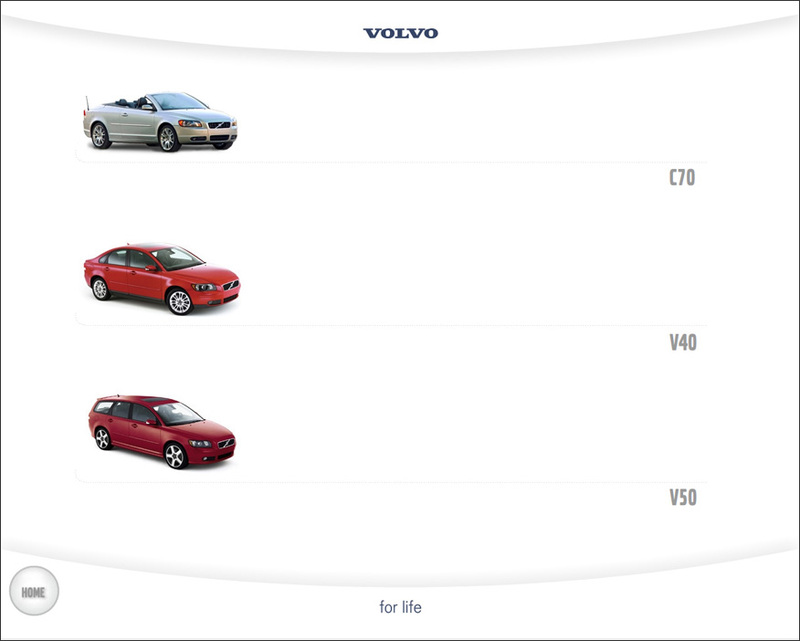 After clicking through the user is given a choice of vehicles to choose from. Video showcase for selected vehicle. 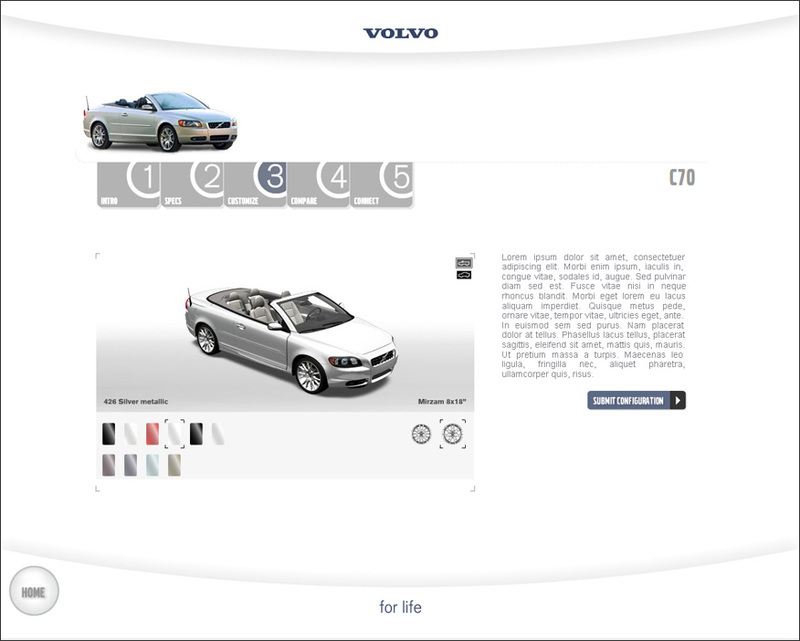 Car configurator for selected vehicle.